Wisdom Digital Media Publishing launched in 2001 and its flagship site, BroadwayWorld.com in 2003. BroadwayWorld is largest theatre site on the Internet covering Broadway, the West End and beyond to 100 US cities, and 45 countries worldwide. With over five million monthly visitors, BroadwayWorld delivers complete up-to-the-minute Broadway, off-Broadway, and regional theatre news, in-depth interviews, extraordinary photo coverage, entertaining video features, lively message boards, ticket discounts, reviews, and more. Further distinguishing BroadwayWorld as the market leader is our innovative, groundbreaking use of mobile, and online social media that connects consumers with live theatre more intimately, and effectively than ever before. This includes Twitter Watch, where we host tweets from hundreds of stage stars, professionals, and productions, special guest blogs, and the first theatre applications for the iPad, iPhone, BlackBerry, and Droid where fans on the go can watch videos, check out reviews, the latest news, and purchase tickets! In 2013, Wisdom Digital Media announced the official spinoff and launch of new entertainment web sites including BWW TV / Movies, BWW Books, BWW Music, BWW Dance, BWW Classical and BWW Opera. Since then there's been even more expansion, including an industry first Apple TV App, which launched in conjunction with the new Apple TV, new iPhone, iPad, Android, Roku, social media and other applications along with a responsive site redesign, international expansion and more. Recently, celebrating its 15th anniversary the site underwent a massive redesign as well with a faster, cleaner and more powerful experience across all browsers, screen sizes and devices. The site's latest launch, Industry Insider again expanded coverage this time providing tools and content for those in the industry. 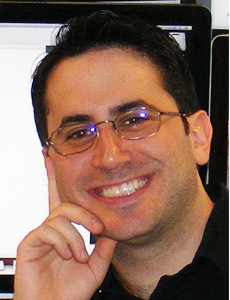 The 2001 Syracuse University graduate (School of Information Studies) is also the owner of Wisdom Digital Media, an award-winning leading design company for entertainment and technology web sites. In his previous life, he held an executive position for the world's leading publisher of technology magazines, web sites and conferences and, as a result, was named among the "Top thirty magazine industry executives under the age of 30" by FOLIO Magazine. In May of 2014, the site was awarded a 2014 Award for Excellence in Theatre Arts Education by the prestigious Theatre Museum. 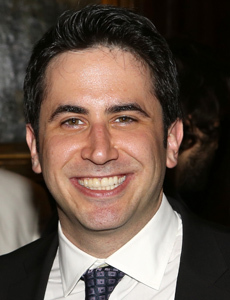 Robert Diamond founded BroadwayWorld.com in 2003, which has now become the largest theatre web site in the world. He also serves as the site's Editor-in-Chief, covering Broadway and beyond, with specific local coverage for 100 cities in the United States, 45 countries worldwide and 15 other related areas of entertainment - including dance, opera, fashion, concerts, comedy, films, television and more. In 2015, they launched on multiple platforms including an industry-first Apple TV app. As a respected member of the Broadway and theatre community, Diamond also served as Lead Producer for a series of sold-out shows using the BroadwayWorld.com 'brand' for a set of 'Standing Ovations' concerts, which also branched out into titles that included Holiday Shows and even more specific concerts like 'From Stage to Screen and Back Again' in tandem with publishers and movie studios. All proceeds were in turn donated to Broadway Cares / Equity Fights AIDS, the industry's leader in aid for performers in need. Robert lives in New Jersey with his wife and two dogs, growing the business and getting little sleep. In addition, you can usually find him in a theatre many nights a week. In December of 2014, Diamond was one of 5 Syracuse University Alumni, all having achieved success in the world of start-ups, business growth and venture capital, participating on a panel addressing young alumni who are currently pursuing their dreams of running their own business and experiencing the day to day challenges of a startup. It is part of the university's new Student Accelerator Program, for which Rob was recommended by Syracuse University's i-School. Recently, BroadwayWorld was added to the Library of Congress web archives for arts coverage.